TSPlayer includes a wide list of artistic skins that allow to publish the music player on many different websites without violating the website's design. The additional skins, if needed, can be acquired separately at a reduced price. Pay with Paypal / Credit Cards - After payment you will be redirected to a direct-download page and the download link will be emailed to the payment address. If you have not purchased the TSPlayer previously, you should buy the $29.99 package. To insert a new skin you only must to upload the .swf file to your web server and correct the .swf file location in the configuration file. For more information, go to the section: "Use Description and Tips". 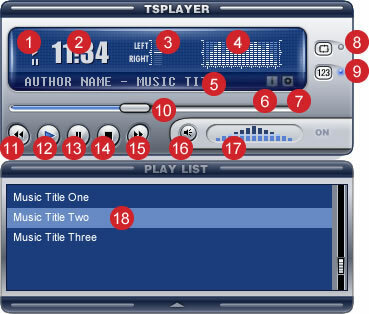 The description of music player interface is based on Classical Skin. Other skins have similar features. Some skins don't have all the options due to size or aesthetic limitations. Before buying, please make sure that all the features you need are present in the selected skin. Status indicators of music player (playing, paused, stopped). Time indicator. Shows the elapsed time since file playback started. Balance control. This control allows to determine the speakers intensity (between left and right speakers). Equalizer. The equalizer shows in an approximate way how the audio volume behaves during playback. Data of Audio file or action name. Displays the data of audio file being played (the song's title, duration and author. The information is extracted from the file's ID3 tags). This field also displays the name of action you are about to run. Access button to a web page with information related to the audio being reproduced. Access button to an image related to the audio being reproduced. The repeat button. Activates a loop through of playlist in a cyclic manner. The random selection button. Activates a random items selection from the playlist. The progress bar. Shows the playback progress. This bar enables us to move quickly to a new position (both forward and backward) in the file's playback, just by clicking on the desired position. If the file is playing in safe mode or streaming, whenever we try to move forward or backward on the bar, the change will not happen instantaneously due to the fact that the music player doesn't have that information available. The previous track button enables us to go to the preceding audio file. The next track button. Allows us to go to the next file of playlist. The mute button sets the volume to zero. The volume bar allows to vary the music player volume. The playlist. Allow us to select the audio file to playback. The audio being played it is displayed in a different color in the playlist. Notice: The music player requirements are determined by the way that the music player will be used. In safe mode the music player cipher the playlist and the requests to the server, also the audio files are not stored in the browsers cache. If the music player is used in safe mode the PHP Script must be supported in the web server. The Flash player must be installed in the clients computers. The music player directory, to install the music player manually without an additional application. The Dreamweaver extension folder, to install the music player from Dreamweaver application (It is the most easy manner to install the music player. Recommended mode). The third directory "skin", contain the music player skin selected in the purchase. Unzip the distribution package and upload the content of directory "music player" to your website. The content should be published to the root folder of website. Copy the piece of code below and paste it into the web page. To vary the music player configuration or the playlist, you must to modify the files: configuration.xml or playlist.xml, respectively. The files: configuration.xml and playlist.xml, may be found in "/SECURE-TSPlayer/player-html/". Both files are described in the "Playlist and Resources" tab. The extension has been developed to be installed in Adobe Dreamweaver MX 2004 and superior versions. 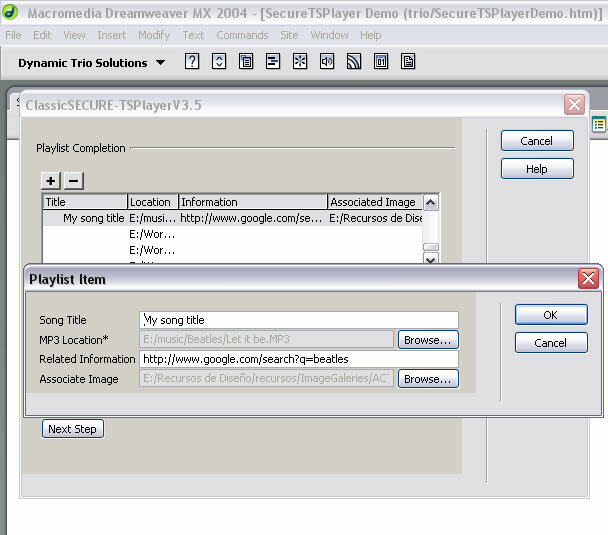 To install the Music Player as a Dreamweaver extension follow the steps below. 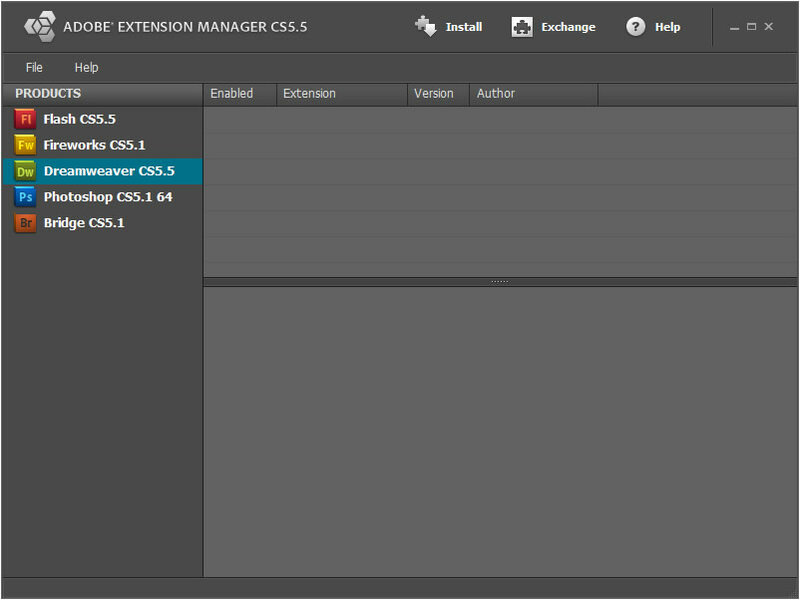 Execute the Adobe Extension Manager to install Dreamweaver extensions. Adobe Extension Manager is distributed with the Adobe Dreamweaver for Free (If you don't have installed the Adobe Extension Manager download the installation FROM HERE). Press the menu option: "Files/Install Extension" and enter the location to the .mxp file associated to the music player. After install the Music Player extension you must to restart the Adobe Dreamweaver application. 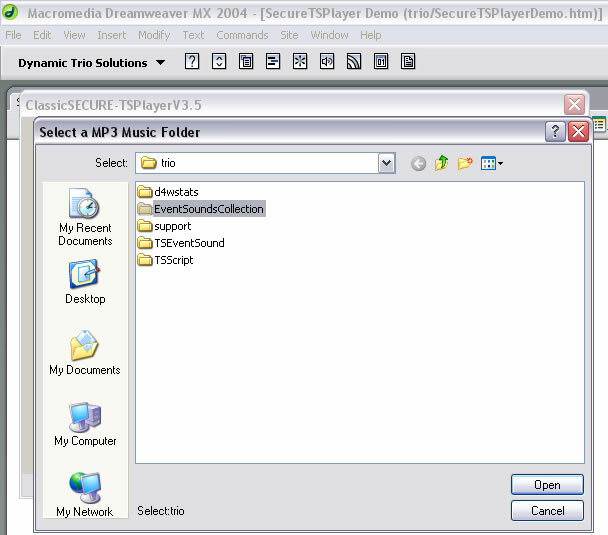 The Music Player can be inserted in the website through the menu option "Commands/Insert Secure TSPlayer" in the Adobe Dreamweaver Application. The music player may be inserted in the website in two manners: Manually or through the Adobe Dreamweaver Application. With Adobe Dreamweaver is the most easy and intuitive mode to insert the music player, so we recomment it widely. The first step for insert the music player with Adobe Dreamweaver is to install the music player as extension, see the tab "Requirements and Installation" for more information. 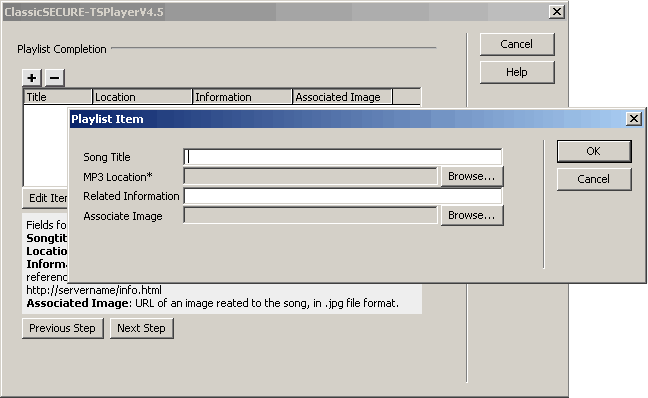 After installing the music player extension, copy the directory "skin" from the distribution package to the website file structure (the directoy "skin" contain a .swf file that is the skin of music player), then, open the Web page to insert the music player in the Adobe Dreamweaver Application. Set the cursor in the web page position where the music player would inserted and press the option menu "Commands/Insert Secure TSPlayer". The music player insertion is made through a wizard setup with many options for playlist generation and music player configuration. The setup window is described below. The insertion and setup of the audio player is carried out in three steps that are separated by three different screens, each of them shown with help hints for its different options. Figure 1. Music Player setup step one. Select the source of MP3 files. The First step's screen, is for source selection of audio files. The audio files can belong to your website or an external domain. If the source selected for audio files is the same domain as the web page with the music player inserted, then enter the location of directory with the MP3 files. Once the source for the files has been entered, push the "next step". The second step allow to create the playlist, if the source of MP3 files is the same domain as the music player, (if the source of MP3 files is an external domain, the wizard pass directly to the step three, jumping the step related to the playlist). Figure 2. Music player setup step two. Playlist generation. In the playlist screen is possible to add new audio files, remove an existing item or edit the associated data (song title, MP3 location, the associated image or the related information). Title: the song title to display in the playlist. Location: the MP3 file's location. Information: absolute URL of web page with information related to the audio file (http://...). Associated Image: the URL location of image associated to the audio file. To add a new audio file to the playlist, press the "[+]" button and enter the corresponding information. To remove an audio file from the playlist, select the item and press the "[-]" button. To edit the related information to an audio file in the playlist, select the item and press the "Edit Item" button. Once the playlist edition is over, press the "next step" button (at least an item must be inserted in the playlist). The third step of insertion wizard allow to configure the music player: define the skin, the playback mode, the initial volume, etc. Figure 3. Music player setup step three. Configuration. Select skin: selects the appearance of music player. The skin is a swf file that was copied in the files structure of website, previously to the music player insertion. Secure player: set the playback in safe mode. In safe mode the playlist is transferred to the music player as a cipher text, the audio files are no copied in browsers cache, the audio files are never accessed directly from the music player (using for that a proxy file). The music player in safe mode require of PHP Script support in the web server. Password: password to cipher the playlist and the audio requests in safe mode. Play in streaming: enables the audio to be played as it downloads. If the field is set to false, the audio is played after be downloaded completely. Initial volume value: set a number between 0 to 100. Set the default volume of music player. Show playlist: allows to display or hide the playlist. Active repeat playlist button: reproduces of playlist in a cyclical manner. Active shuffling selection button: makes a random choice of audio files for playback. 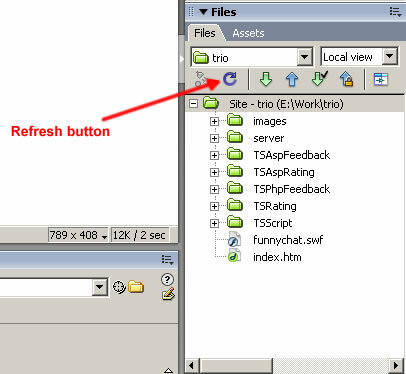 After complete the three steps of insertion wizard, press the "finish" button. The music player has been inserted in the website, now is time to publish the files in the web server. The files to publish in the web server are: the modified web page, the skin directory and the directory "SECURE-TSPlayer" generated by the extension in the website's root. Copy the piece of code below and paste it into the web page where the music player will be inserted. The playlist is a XML file structured in XSPF format. 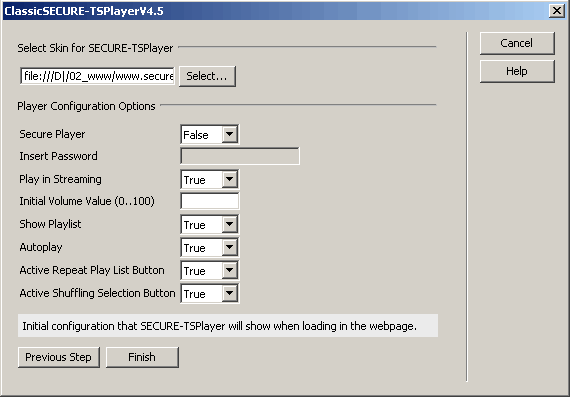 The playlist file is located in "SECURE-TSPlayer/player-html". The playlist structure is described below. <trackList></trackList> contains the list of tracks that are going to be played. <track></track> has the data of each one of the audio files. <annotation></annotation> music title to be shown in the playlist of music player. <location></location> location of the .mp3 file. Using the music player in safe mode the location must be relative to the getPlayData.php file. Using the music player in unsafe mode, the location must be relative to the web page in which the audio player is going to be inserted. <info></info> Absolute URL (including the protocol, in this case http://) to a webpage with information associated to the audio file. <image></image> location of the jpg file associated to the audio file. Notice: A subset of the RSS format is another valid playlist format. The music player is configured through a file in XML format and can be located in "SECURE-TSPlayer/player-html/configuration.xml". The structure of configuration file is described below. <playlist></playlist> field to shown or hide the playlist. The possible values are: 0 or 1, zero for hide the playlist and one to display it. <streaming></streaming> Allows to listen the song as it downloads, or listen the song only once it has downloaded completely. The valid values are 0 and 1 for disabling or enabling the streaming respectively. <autoplay></autoplay> Allows to start playing the music player automatically. The valid values are 1, to start playing automatically or 0, to wait for the user action. <volume></volume> Accepts integer numbers from 0 to 100 indicating the initial volume. The volume value can be modified later by the user. <repeat></repeat> The playlist is traversed in a loop, after the last audio file is played the music player start again by the first one. Valid values for this field are: 1 or 0. <shuffling></shuffling> Takes the audio files in random manner from the playlist. The possibe values are: 1 or 0, taking the audio files in random manner or in ordered way, respectively. Published the music player in the web server. Inserted the HTML code of the music player in the web page. The music player is ready to be enjoyed by the users of your website. The audio files supported by the music player are MP3 files only. Notice: Avoid any sample rate that isn't a multiple of 11,025Hz. The recommended ratio are 11, 22 or 44 KHz. Any other can give you speed conflicts in Flash-based Music Players. The music player allow to associate an image for every track to playback. The image format supported is JPG only. Notice: The progressives JPG file are not supported. The playlist is a XML file compliant with XSPF standard or a subset of the RSS standard. This questions are related with the TSPlayer, if you want to read the questions about another product, go to the product's page or the FAQ section in the main menu at top of the web page. Select a question to access to the answer. I got my mp3 player to work except the speed at which it plays is way too fast or too slow. What happens ? Are the .FLA sources included with the purchase ? What is the cost of a custom skin design ? Do I need to know about XML in order to use the player ? Is there a way to change the player's colors ? I like the player but I don't need a secure version. Do you have an alternative ? I'm looking for a thin or smaller Flash music player. Where can I find it ? Can the music player be made to "float" in a separate window so that it can remain open and moved around the screen while visiting other pages on the website, or does it have to remain embedded in the page? Can I insert the Flash Music Player into another Flash movie (ex: in my movie timeline)? Are any programming skills needed for using TSPlayer? The title of the track currently playing says 'unknown' or the file name. How can i fix it? Can I play radio stations with the player? Is it possible to database drive the playlist ? Can I put more than one SecureTSPlayer on the same page? Can I database drive the playlist using ASP? Can I use the player with my own site background? Is your webbased player completely independable of audio players on the pc, like media player etc..? Player does not work. What happens? Can I play a single dinamycally selected song with TSPlayer? I have installed the extension it and works when I test it locally, but when I upload the files to my online website, it does not work. What should I do ? How do I remove the "Click to activate and use this control" message that loads with on the Flash item? Can I load the flash music player inside a different flash application? How to make SECURE-TSPlayer 100% secure? How can I use another skin for the music player? If your ask has not been answered in the FAQ, don't doubt to send us the issue. Notice: The fields marked with "*" are required. Notice: Your email will be used only to respond your questions. Avoid any sample rate that isn't a multiple of 11,025Hz. Many hardware and software MP3 players including those ones using Adobe/Macromedia Flash won't play anything that isn't a multiple of 11,025. The recommended ratio are 11, 22 or 44 KHz. Any other can give you speed conflicts when using Flash Music Players. No, the .FLA sources are not included. However, you can request a quote for custom changes. The cost for a custom skin design is US$149. First step: you send us your request details (design guidelines, url of your web,...). Second step: Pay the amount of US$149.00 (cost of the development service). In case you are not satisfied with the final product, we will refund the 85% of the payment. Payment via Paypal (credit cards accepted) or MoneyBookers. Third step: Within 2 days we will send you two design proposals. You select one for revisions and development. Fourth step: The selected design will go through as many as three revisions before the elaboration of the final product (the player skin). Fifth step: You get your custom player skin (1 more day for the final development). No. If you insert the player from Dreamweaver, the XML files will be generated automatically. No hand coding is required. However, even if you need further edition to the configuration or playlist files, you can do it using Dreamweaver or any other text editor like Notepad. If you need additional info, you can contact our support service. FLA sources are not included. We have various skins with different styles available. You can select the skin that better matches your site. As alternative you can request a quote for custom changes or a custom skin. 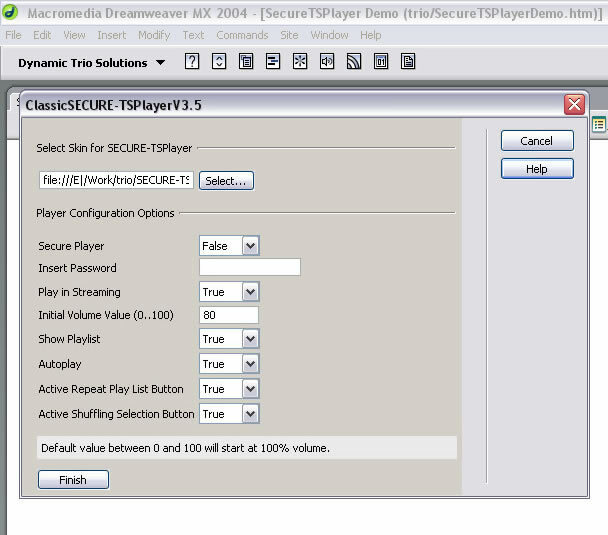 The "secure" feature is optional in SecureTSPlayer, however if you are looking for a player with a similar look and a lower price you can take a look to our standard TSPlayerV2.1 or our MiniPlayer, they have less features than SecureTSPlayer but maybe contains all what you need. You can configure the SecureTSPlayer skins to show without the playlist, making it smaller. However, if you are looking for a really thin music player, then take a look to our Mini Flash Music Player. Yes, you can put the SecureTSPlayer on a popup Window, so you can visit other pages and the player remains open. Another solution is to put the player on a top or bottom frame on your page. At this moment it is not possible to insert it directly into another Flash movie because the player require its own parameters. If you are familiar with HTML, you can place a floating layer over your Flash movie in order to place the player over your site. This can be achieved by using absolute positioning. No, no programming skills are required. 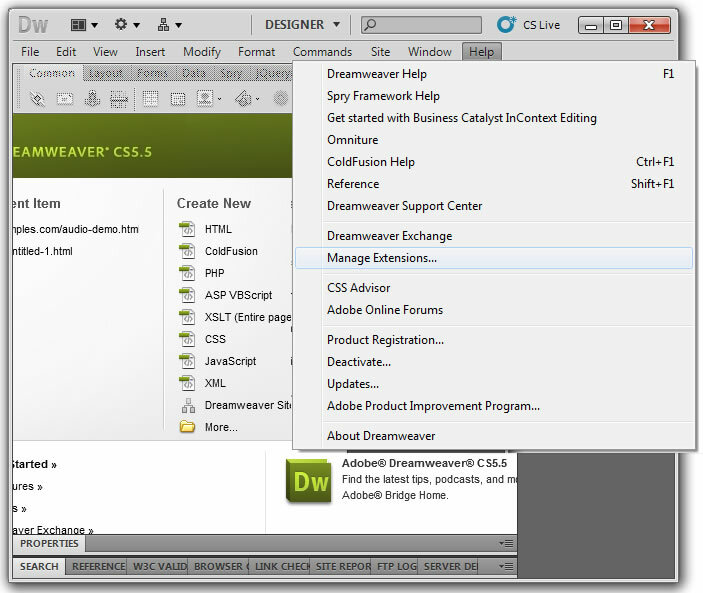 SecureTSPlayer is available as Dreamweaver Extension; you can insert it from the Dreamweaver Commands menu just with a few clicks. 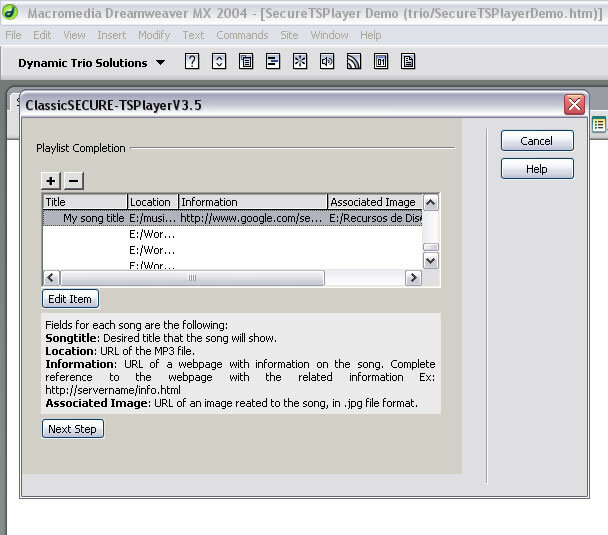 SecureTSPlayer reads the song names from the ID3 Tags inside the MP3 files. Some applications, like Winamp, allow editing the names inside the ID3 tags. If no information is present inside the ID3 or ID3v2 tags, then the playlist shows the file name and the actual track 'unknown'. You can pass a GET parameter to the playlist file, or just use a session cookie to identify the user profile. Yes, there is no limit. You can specify an individual playlist for each SecureTSPlayer on your page. Note: You can create a similar code using ASP or any other server side script. 1- Please, be sure to upload all required files, including the Secure-TSPlayer folder, the SWF files and your songs. 2- Please, be sure that you are using the right paths in your page source (into the object tag parameters) and into the files "configuration.xml" and "playlist.xml". If you are using Dreamweaver, this files and paths are generated automatically. 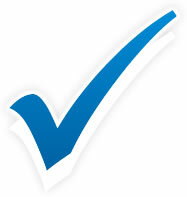 If the problem persists, contact our support service offering information about the error, example, your test page URL. Our support service will check your page and tell you how to fix it. Note the change (encoding) of "?" per "%3F" the change of "=" per "%3D". You can create a similar code with any other server side script. This is a security restriction of some Internet Explorer 7 configurations. The problem is not related with our player, but with the IE 7 browser configuration. The SECURE-TSPlayerV4.5.swf movie must be loaded (using the action script function "loadMovie" in the root of your flash application). The variables "playlistfile" and "configurationfile" must be present in the _level0 of your flash application ("playlistfile" and "configurationfile" contain the path to the playlist and configuration files respectively ). The path to the mp3 music files must be relative to your flash application(if you use the music player in non secure mode) or relative to the "getPlayData.php" (if you use the music player in secure mode). The audio player never accesses the files (.mp3 and .jpg) directly; instead, it does so through a proxy in PHP (getPlayData.php). The playlist is transmitted from the server side to the audio player in coded form, using the password entered during the insertion process. Whoever manages to get through to the playlist, will not be able to make any use of these data. Queries from the audio player to the server are realized in coded form, in the same way as with the playlist. Their security is even more increased. A query to the server is useful once only, once it is responded, it is invalidated. The folder with the actual files (.mp3 and .jpg), can be located outside of the public website folder, this way, whoever gets access to the audio file folder address, will not be able to download it through the browser. To achieve total security, we recommend using Secure Socket Layer (SSL). Using SSL, the transmission of audio and image files is realized in coded form, preventing the third parties from accessing the information that travels via the net. After download the skin from our website, copy it to the skin folder on your website, then, open the configuration.xml file in the text editor of your preference. In the configuration.xml file the couple of tags <skin></skin> determines the skin used by the music player. Enter the location to the new skin, pay attention the URL to the new skin, it must be relative to the web page where the music player was inserted. WaveSolutions.CO is a startup that allows its users to organize their music and share their playlists with friends, by publishing an audio player on friends' websites, while keeping the audio files protected in our cloud. Our first thought was to create our own music player, but it was too basic and too limited in design. Another issue was the files' protection. Our users want to share their music, but by allowing to listen, and not to copy. After an exhaustive analysis of the possibility to continue the development of our own music player or integrating a third party product, the second option prevailed. Our specialists compared various products to select one that would fit our business model perfectly. The winner, by far, was SECURE-TSPlayer. The SECURE-TSPlayer is a music player based on Flash that comes with a wide range of skins, with an awesome quality, adaptable to a large number of website designs. The SECURE-TSPlayer has also implemented a security mechanism sufficient for the protection level required by our users. 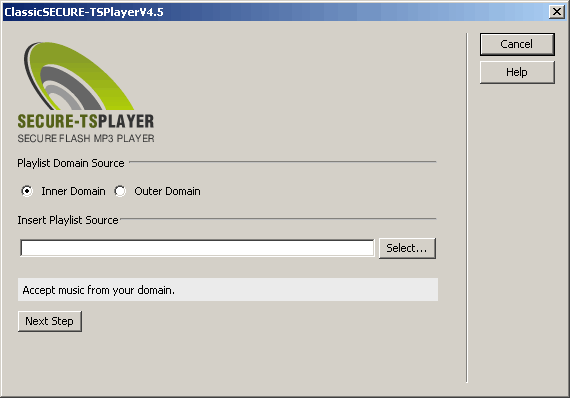 SECURE-TSPlayer prevents direct access to the MP3 files, using a server side script, allowing to protect the MP3 files with web server directives. Furthermore, sharing the playlists between friends has never been simpler than passing a link, which is possible because the playlist is transmitted encoded. The variations in our ROI index endorse the SECURE-TSPlayer as a product of excellence. The SECURE-TSPlayer is a music player of reference in the world of music sales and online business. The multiples skins of TSPlayer make the difference with other music players in the market and the security mechanism is more than satisfactory. I am a web development enthusiast. I am no expert, but using Dreamweaver as my web editor and this product as an extension, I created my site and it is growing! I have tested this music player in basic hosting plans with a remarkable performance, if you optimize the MP3 files, The TSPlayer is a product to consider in the rising business of music sales.